Flickr/Tomas Del CoroA Delta Boeing 757-200. 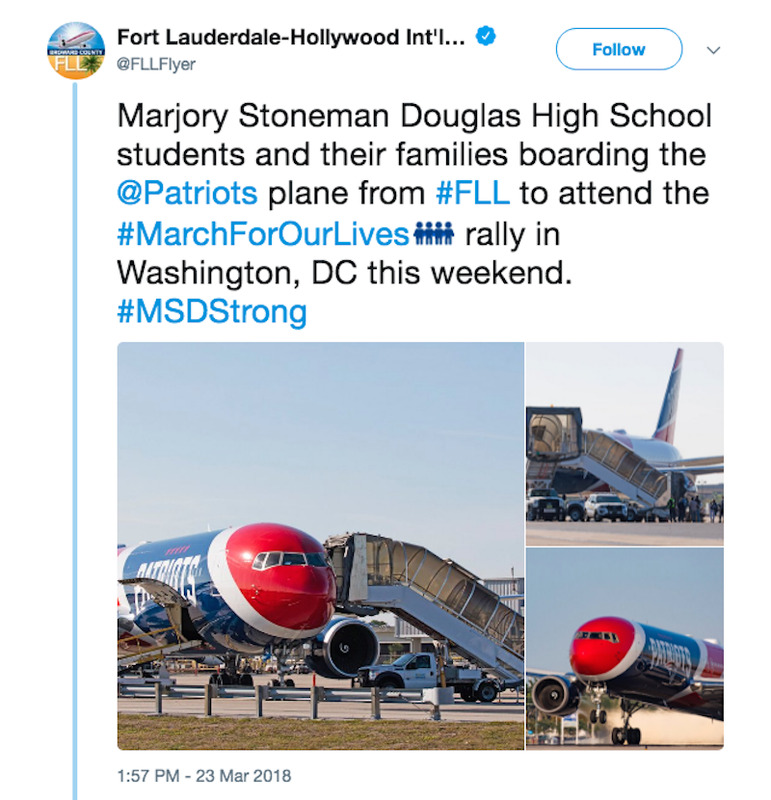 Delta Air Lines and the National Football League’s New England Patriots donated free flights over the weekend to help transport hundreds of Marjory Stoneman Douglas High School students and their families to the March for Our Lives rally against gun violence in Washington, DC. The New England Patriots also gave the school’s students a lift. 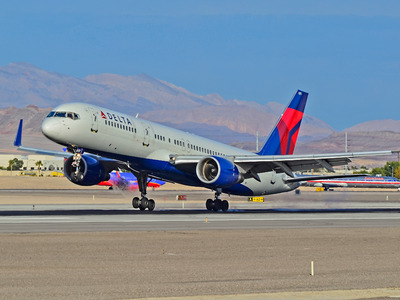 Over the weekend, the Patriots offered up the services of one of its two Boeing 767 team jets. “On behalf of the New England Patriots organisation, I want to express our support as you travel to Washington for this weekend’s March for Our Lives. In the wake of incredible tragedy, we have hurt for you, mourned with you and been inspired by you. It is an honour for us to now partner with you as you push for progress. Contrary to some reports, Southwest Airlines confirmed to Business Insider that it “did not donate any flights for people travelling” to any gun protests this weekend.